Escape to El Nido Resorts Miniloc Island for an unforgettable vacation with the kids! This all-inclusive beach resort offers water and land sports, a kids’ club, spa, fitness center, and an onsite restaurant and beach bar. But the best part is the offsite excursions, which take you to various islands in the Philippines. This resort is also popular with divers. Guestrooms and cottages are available for overnight accommodations. The Seaview Rooms and Cliff Cottage can sleep four guests. There’s also a Family Garden Cottage for four. Perfect Family Break in Paradise! We stayed in Miniloc for 4 nights/5 days and It truly was the best holiday of our lives. Our group ranged from a 5 year old to a 73 year old (with a few people in their 30s and 40s) and we all thoroughly enjoyed it. I want to start with the absolute highlight of our trip, Meko. He was the guide allocated by the resort to us and he truly looked after us and made our stay really memorable. Meko was very courteous, professional, discreet and somehow always available to help. He came with us on all our activities - nothing was ever a problem for him. Whatever we wanted - he made it happen. As a group of 8, we did a lot of activities - snorkelling, island hopping, picnic lunches, cliff hikes - he always accommodated and made sure the elderly members of our group were safe and comfortable - especially during boat transfers. Meko went with us to climb one of the cliffs in El Nido town. He assisted us all the way and made sure our 5 year old was safe throughout. If you are planning a trip to Miniloc, I would wholeheartedly recommend that you request Meko to be your guide. It is a small resort in a very beautiful and idyllic location. The rooms are lovely and comfortable and the views are to die for. My wife, daughter and I stayed in one of the water cottages. The rest of our family stayed in the water loft cottages. Both rooms were very nice, comfortable, modern and clean. As a special touch, the resort staff turn down your bed at night (while you’re out at dinner) and leave you a lovely note and a story about the conservation work they are doing in El Nido. Our daughter loved the stories and helped us have discussions with her about being environmentally responsible. The resort provides a full board experience and the food was very good - especially if you love Filipino food or you are not adverse to trying Filipino delicacies. They also serve western food and there is a fairly substantial salad bar. The infinity pool is lush. The beach at the resort is not ideal for swimming but definitely fantastic for snorkelling. We did a few snorkelling trips to other islands and locations but the best snorkelling spot is right in Miniloc. The kayaks are free to use so you can explore the island and others at your leisure. Also there are a plethora of free activities the resort is offering. We actually did all of them during our stay and still managed to do half a day private boat hire to explore El Nido Town and to swim in Cadlao Lagoon. If you do not want to do all of the activities and just want to have a relaxing time, then as a minimum, you have to do the big and small lagoons. I also recommend Entalula Beach Club which is only a 5 minute boat ride away. The resort will provide lunch and the beach at Entalula is truly, truly dreamy. 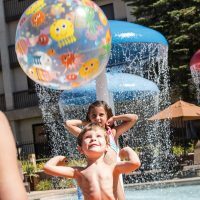 The price of staying at Miniloc may seem pricey, but when you consider that you get all your meals included (even at the Beach Clubs) and all the activities are included - you really are getting good value for your money. We literally looked at the list of activities and did all of them. We enjoyed the trips to Big Lagoon and Small Lagoon, Entalula Beach Club, all the snorkelling trips, sunrise trip, sunset trip and we enjoyed our chartered boat ride to El Nido and Cadlao Lagoon. We weren’t sure whether we would be ever coming back so decided to do as much as we could. We even did the Big Lagoon twice. It truly is the most beautiful place on earth and trust me I have seen many beautiful places on God’s earth - but nothing compares to El Nido. You will have to see it to believe it. The pictures do not do it justice. There really is not much more to say - except - just do it! If you are thinking about holidaying here - then press that BOOK button! You will not regret it.